Tower designs today are of paramount importance considering the multitude of design and safety aspects that need to be taken into consideration. Making it simpler for clients to meet all international design compliances, Outsource2india offers tower design services combining technological advancement and deep domain expertise. O2I has provided hundreds of complicated tower design services that helped our client save both in terms of human resources and technology spend. The skilled team at O2I considers various unavoidable factors like wind resistance, inherent structural stresses and other external loads acting on the construction that can cause the design process to be extensive and lengthy and provide the best possible solution. Bringing in ISO processes, global delivery policy, and efficient project management framework, Outsource2india has created a name for itself among top engineering design outsourcing companies that provides highly accurate and precise tower design services at an affordable pricing model. Outsource2india simplifies various other parameters like the material involved and the method of fusing the beams together which involves considerable work by providing expert design help for all your design requirements. We ensure a perfect tower design that caters to your requirements and meets all industry standards. Outsource tower design services to O2I allows you to hire our team of tower design experts who are skilled in the design of towers and consider every conceivable parameter that affects the design. The height of the tower, the load of the tower, requirement of the number of ground supports and pivotal points, the weather and wind conditions in the area and the probability of tremors and natural disasters are considered and measured using different tools. We design these types of towers with three or four legs depending on the requirement and subject to external conditions that are mostly used as communication towers and cell phone towers. If you are looking for the tallest towers in existence, we can work on designing guyed towers; from 60-foot towers to 1,300-foot towers, these towers give you the most height. With the least foundation requirement and cost of construction, they give you the tallest structures for electricity transmission and cell phone signaling towers. We also design poles that entail the least design considerations because their height is limited by environmental conditions and ensure the designs supports heavy loads and ensures long lifecycle. Further, O2I's complete design solution includes the specification of the right type of bolt, nut, and welding joints that should be present in the fabrication. O2I's experience and expertise in tower design helps you in the erection of a strong and durable tower at a minimum cost. We at Outsource2india work as your offsite tower design services team and offer customized tower design services to clients within a short period of time. 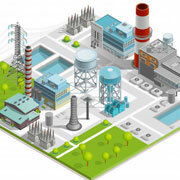 Here are benefits you can avail by outsourcing tower design services to Outsource2india. Serving Diverse Industry Verticals - Outsource2india caters to the needs of a large client base. We provide customized and cost-efficient services to architects, building contractors, mechanical consultants, construction companies, and CADD service providers worldwide. Advanced Technical Expertise - Experts at Outsource2india are always updated about new technological trends and use the latest software available for Tower Design and Drafting. Our engineers and draftsmen are adept at using AutoCAD, Revit, MicroStation, Navisworks, EPlan, Elit, Carrier-HAP and Train-Trace 600. Qualified Engineers & Draftsmen - At Outsource2india, the team of 70 plus skilled structural engineers, with ample understanding of ISO/FDA regulations and extensive experience in various forms of engineering outsourcing such as reverse engineering, prototype creation, system-level simulations, and the creation of 2D and 3D CAD designs help clients with a variety of tower design solutions. Extensive Experience - As a tower design services company in India, Outsource2india assures superior quality, accuracy, efficiency, cost-reduction, and on-time delivery. O2I's tower design and drafting services have helped many residential, commercial, government, industrial and institutional buildings, healthcare units, hotels and hospitality units, laboratories, R&D centers, and data centers projects. Outsource2india is a pioneer in offering tower design services in India with two decades of success behind it. We fulfill all the requirements and specifications noted by our clients and accurately deliver the tower designs. We adopt an approach that is a cost-effective as well as time-bound. we work with your existing team as your offsite tower design services team and help you get the best out of your investment. Contact us today to discuss your Tower Design requirements and find out how our team can help you with your project.